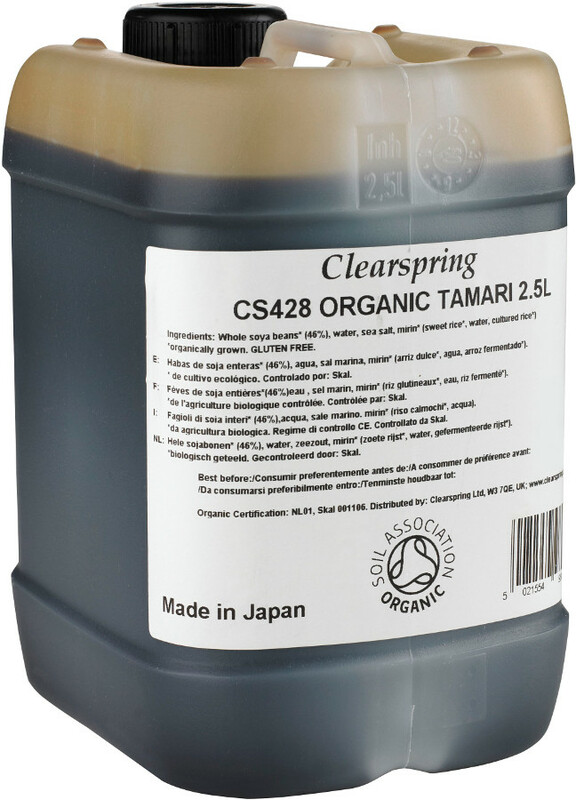 Included in The Coeliac Society’s gluten free directory, and also wheat free, Clearspring Organic Tamari Soya Sauce is a rare find. This source has double the flavour strength of more conventional soya sauces, is made to a 500 year-old recipe and fermented over two summers in cedarwood kegs. An ideal addition to any store cupboard. Soya beans* (46%), water, sea salt, mirin* (sweet rice*, water, cultured rice*). The Clearspring Tamari Soya Sauce - 2.5 L product ethics are indicated below. To learn more about these product ethics and to see related products, follow the links below. 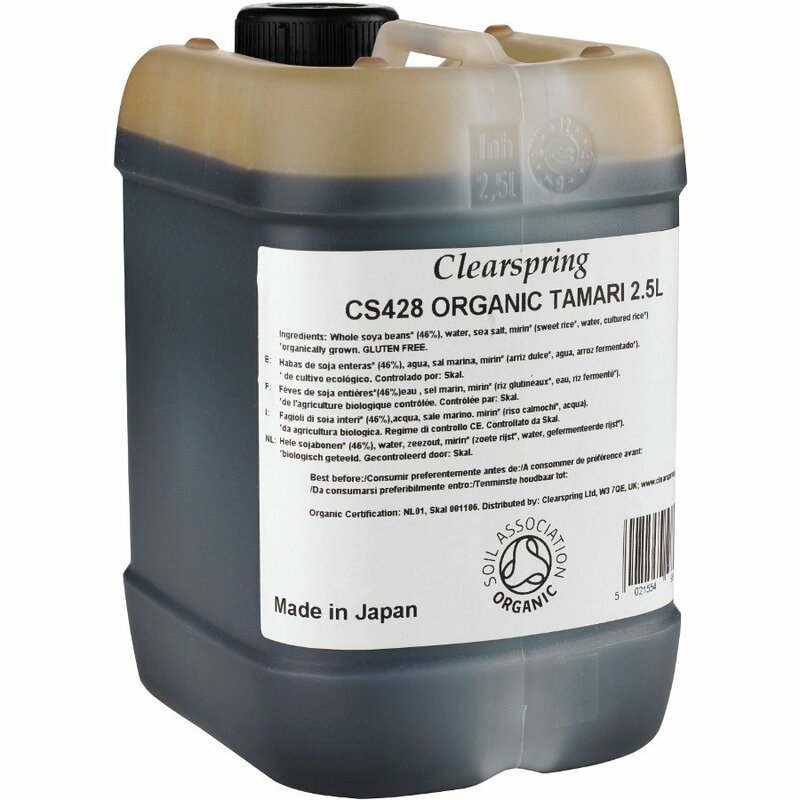 There are currently no questions to display about Clearspring Tamari Soya Sauce - 2.5 L.